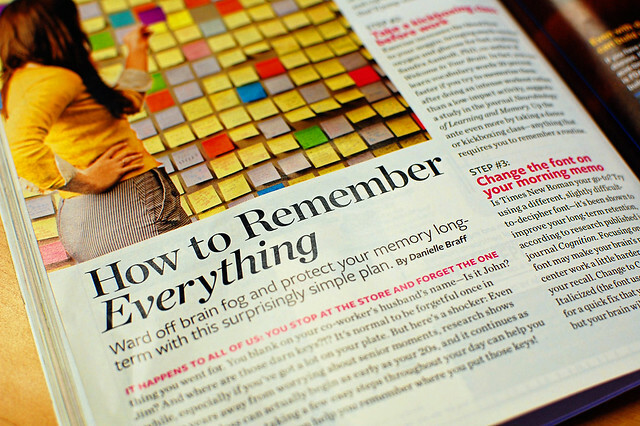 My friend and coworker Lisa texted me a snippet of "How To Remember Everything" in this month's Health Magazine. Sidebar: Health is an ideal publication to read while not exercising and bingeing on Doritos. Lisa wasn't necessarily critiquing my memory skills, but she wouldn't have been far off the mark. I promise to post the details of my most recent come-apart over a missing sneaker. Lisa's text was actually intended to point out #3 in the memory protection tactics. 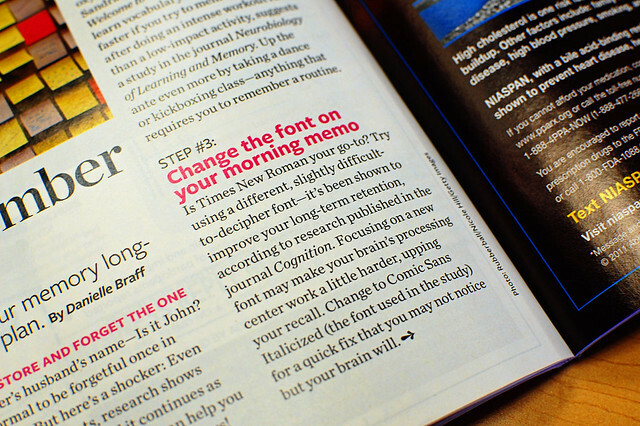 Lisa, a lover of the font Comic Sans, thought she'd found a weapon to battle my well-documented font snobbery. She is wrong. As is the scientific study. As is Health Magazine. As is your mother. As is its slimy cousins Kristen and Papyrus. Note: My favorite free handwriting fonts are found at KevinandAmanda.com. Agreed. I have hated comic sans for a while and would absolutely never voluntarily use that font for ANYTHING! Same with papyrus. BTW, I am going to recommend your blog to my fiance. I think she will like it. twdt: Comment high five. If she would like this blog, then I would like her. They should have called this article "How to get your colleagues to never take you seriously again". Yuck. Tb: Thank you. My coworkers like their Curlz. ... was looking for some handwriting fonts ... thanks!